In Taiwan, the ownership of a piece of land is considered to be of paramount importance. For registering and ensuring land ownership rights, cadastral maps were surveyed and geo-referenced in land information system (LIS). Cadastral Information is considered as a basis of a comprehensive public development and national construction data warehouse, influencing land management tasks significantly. A project namely e-Taiwan has been undertaken by the Taiwanese government with the ultimate objective of building a comprehensive Cadastral Information Database. The foremost goal of this project is the creation of computerized cadastral data. Upon successful completion of this project, land authorities and other related governmental agencies can function with enhanced efficiency. We are currently witnessing tremendous advances within the fields of information technology and telecommunication technology. These have contributed both directly and indirectly to the spheres of surveying and mapping technology and pushed them ahead. 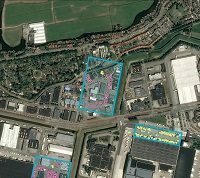 The integration of spatial information science and surveying and mapping technology has led to a breakthrough from traditional surveying and mapping tasks. This successful integration can be attributed to the development and amalgamation of GIS, GPS and RS technology, the so-called 3S technology (GeoSpatial technologies). 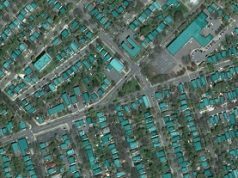 At present, the ways in which cadastral information is being handled have improved significantly and several novel trends have evolved in applications involving such cadastral information. First and foremost, traditional man-made operations have now been transformed into computerized (and mobile) surveying and mapping. Cadastral information databases and access have changed from a public works application into a civilian necessity. Finally, spatial data management has evolved into mobile message transmission. For instance, the traditional cadastral map only records the geometric data as point and line, lacking user-friendliness and readability. To achieve this, survey personnel have to show up together with other public development staff when they need on-the-spot survey. Owing to these aforementioned reasons, the multi-objective cadastral map promoted by Taipei city elicited good response. 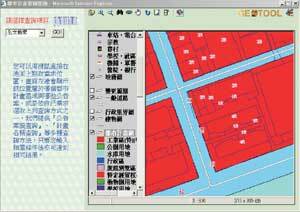 In traditional cadastral maps, block, road nameplates and important landmarks are marked; furthermore, “Taipei city orthographic cadastral map production and application system” and “mobile digital survey assistant system” have been developed. These receive the cadastral information and attribute data via internet, and offer the reference to surveyors looking forward stake point and on-the-spot examination. 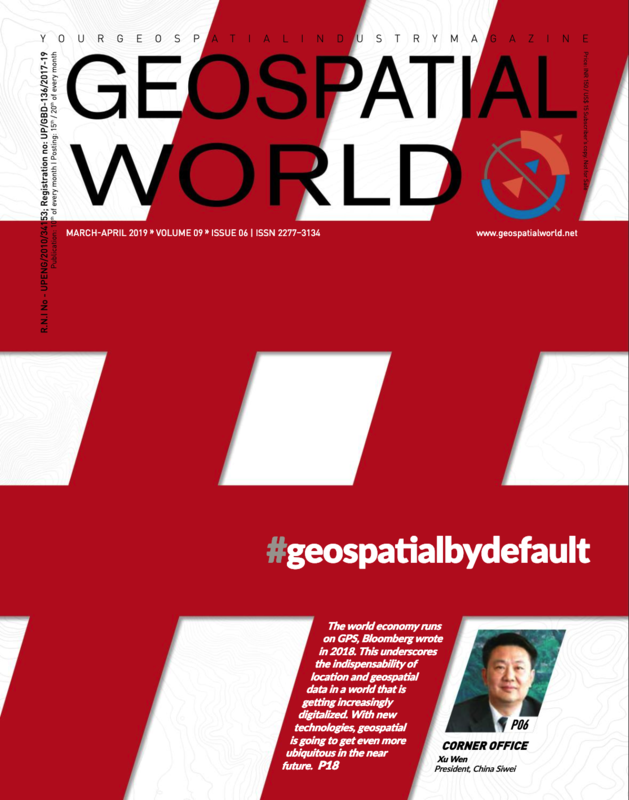 The varied coordinate projection systems adopted by cadastral survey, such as cadastral coordinates and scales, pose a challenge to cadastral map integration. The cadastral coordinates such as TWD67 coordinates, TWD97 coordinates, etc., and the scales, such as 1/500, 1/600, 1/1000, 1/1200, 1/3000, 1/6000, etc. were also different and the cadastral survey records and map layer storage were distinct. Furthermore, since the topographic map and cadastral map were made by different departments, they lack consistency. The urban planning maps were produced using the topographic maps as base maps. Hence, when these three basic maps are used together the result is highly incoherent. 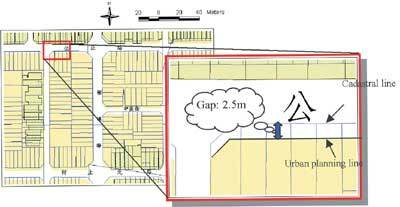 For example, a gap between cadastral line and urban planning line is observed when they are overlaid. (Figure 1). The integration of cadastral survey and topographic survey links becomes difficult for municipal planning authorities and thus complicates the execution of public policy. It is thus vital that GIS is used to integrate these three maps in the data construction stage. 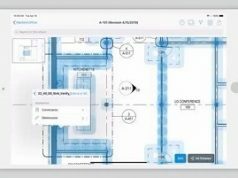 It helps to avoid the problems of overlay error and aids multi-objective application. (Figure 2).